oilexpertlimited has no other items for sale. 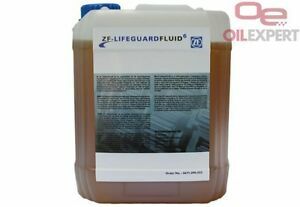 Automatic Transmission Fluid, ZF Lifeguard 6 (10L) ZF number: 83220142516 BMW number: 83220142516 ORIGINAL OIL FOR ZF TRANSMISSION TYPE : 6HP19 6HP19X WITHOUT Audi Q7 6HP21, 6HP21X, 6HP26, 6HP26x 6HP26A61 WITHOUT ENGINE Audi W12 6HP28, 6HP28X, 6HP28A61 6HP32, 6HP32A, 6HP32X standards: ATF M1375.4 BMW 83220144137 BMW 83220142516 ZF S671 090 252/3/5 Land Rover TYK50 0050. Immediate payment of £159.00 is required. All goods purchased before 2pm (Monday to Friday excluding Public Holidays) will be shipped the same day if next day delivery service has been chosen during the purchase. For purchases after 2pm we dispatch goods the following day. Goods purchased on Friday after 2pm, Saturday and Sunday will be dispatched on Monday.